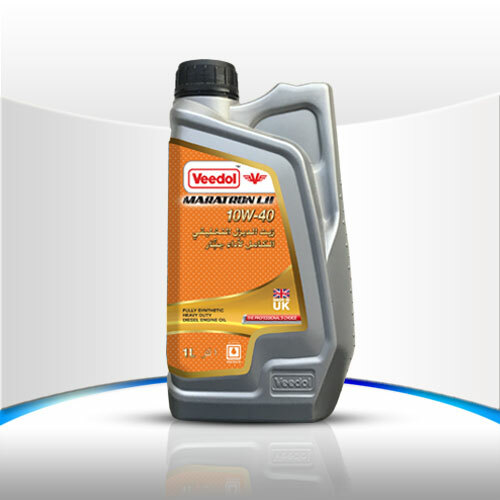 Veedol Maratron is a superior performance heavy duty diesel engine oil, suitable for use in both turbo and naturally aspirated engines. It is formulated from premium synthetic base oils and special low SAPS additive technology which extends the operating life of emissions control equipment. The 10W-40 viscosity ensures optimum protection and operations in both hot and cold climate conditions. Superior fuel efficiency and deposits control. Very high standard of engine cleanliness, long-lasting performance and engine protection. Low SAPS formulation protects emission control equipment.